Put together by a local florist, the Sunny and Bright Wishes is a truly unique floral arrangement. Situated in a colorful bud vase, green trachelium acts as an accent to a sunflower adorned with a smiley face. 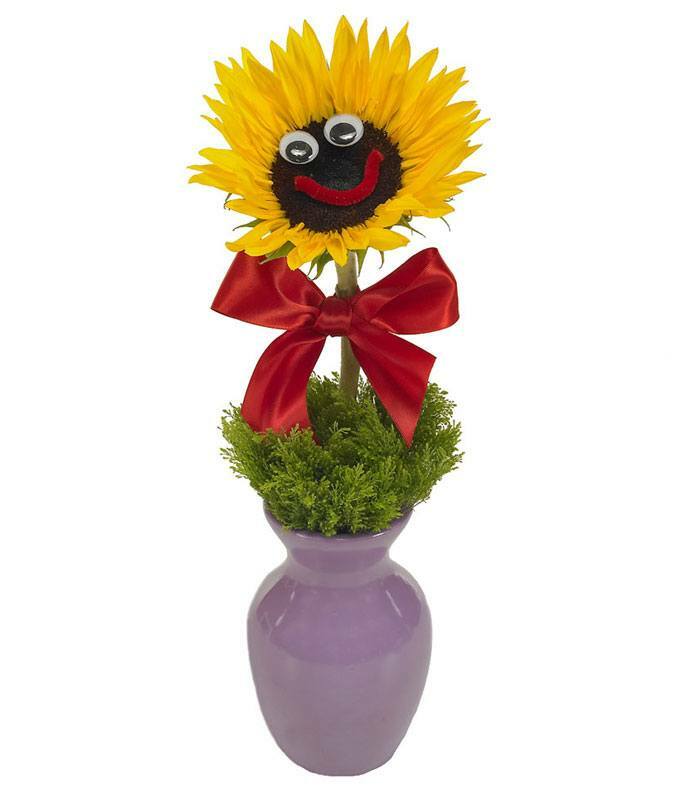 Available for same-day delivery, this bouquet is one that is sure to brighten your recipient's day. Measures 14"H by 5"L.